If you missed it, the TRANSFORMERS Trading Card Game is a quick-playing trading card game where players build a team of TRANSFORMERS character cards (which are twice the size of standard playing cards) alongside a customizable deck of Battle Cards to fight against one another. By using your Battle Cards and strategically switching your characters from bot mode to alt mode and back, players can win the fight with their favorite Transformers team! 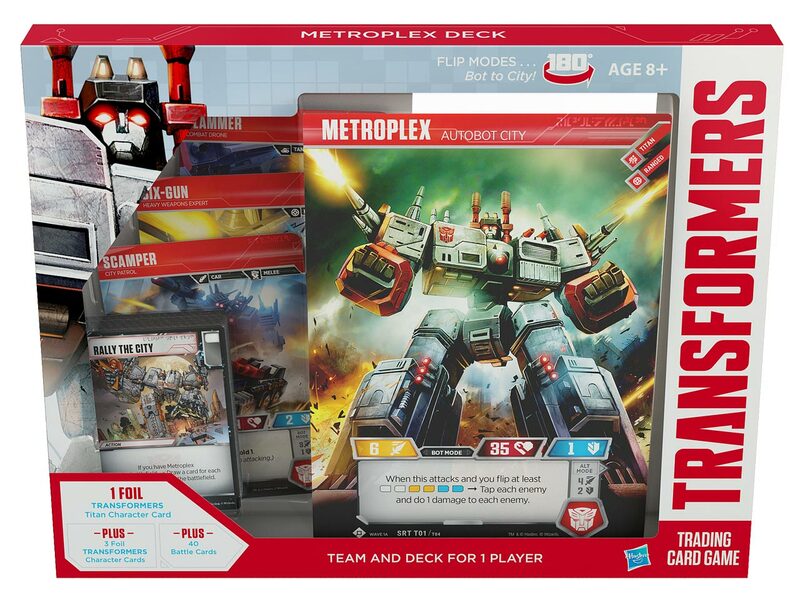 The TRANSFORMERS Trading Card Game launches on Sept. 28, 2018 while the METROPLEX Deck launches on Nov. 21, 2018.